Are you shopping for a new home in Centennial, Colorado? In Centennial there are not as many new built home communities as the outer suburbs. But there is some building going on in Centennial. 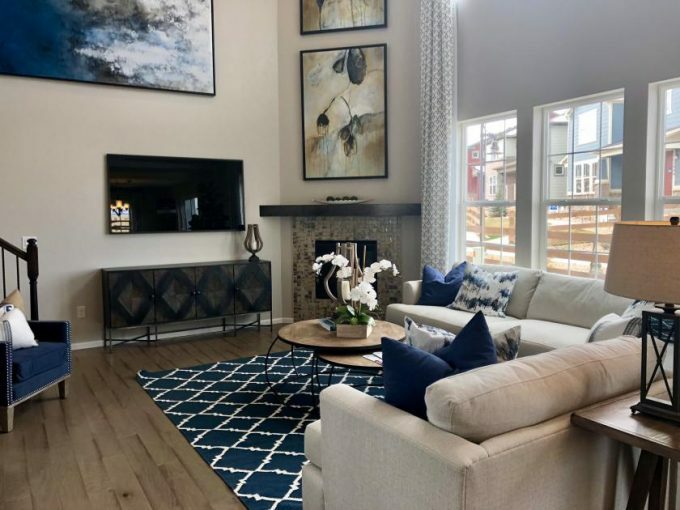 If you are shopping for a new built home in Centennial, you’ll want to take a trip to Trails Edge. Trails Edge is located at Jordan and Broncos Parkway and is just a few blocks from the Denver Broncos training center. Meritage Homes is building two home collections at Trails Edge in Centennial. Their River Collection is a collection of detached single family homes. And their Town Collection is a collection of paired homes. Let’s take a look at the River Collection first. Base prices are in the mid 400’s. In the River collection homebuyers have their choice of five floor plans. There are two models onsite to tour. Be sure to check out the videos below for full walking tours of the model homes! The Town Collection at Trails Edge in Centennial ranges in price from the mid 300’s to the low 400’s. These paired homes are quite large ranging in size from 1,620 square feet to 2,135. There are five floor plans for homebuyers to choose from with two models on site to tour. Trails Edge is located in the highly rated Cherry Creek School District. To see these homes in person or for help in finding your new home in Centennial, Colorado contact Courtney Murphy. Courtney is a Realtor serving the Denver metro area including Centennial, Colorado.